According to the National Home Builders Association, average mortgage rates jumped by more than 30 basis points in the second quarter to 4.67% from 4.34% the previous quarter, but a study by real estate brokerage Redfin shows that prospective homebuyers are still forging on with seeking home ownership. 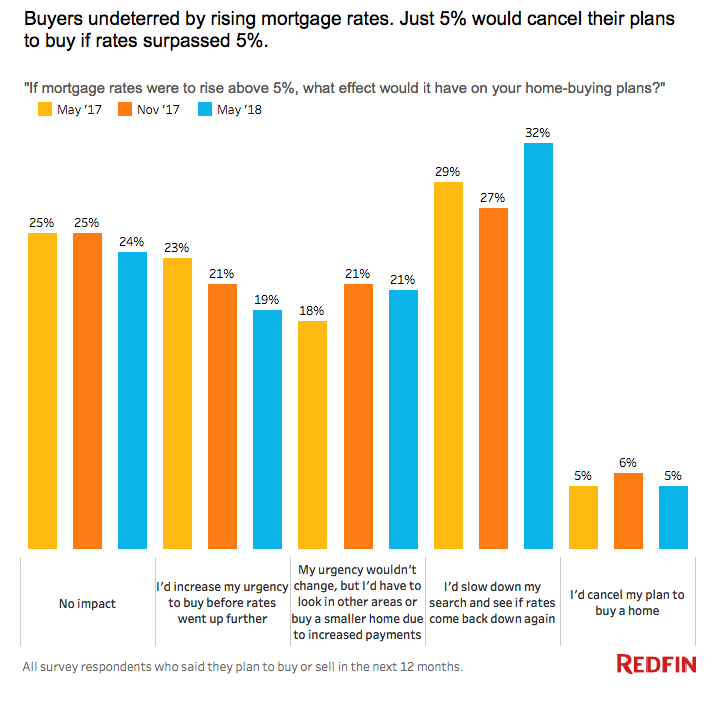 Based on the Redfin study, 32% would slow down their search and wait to see if rates decreased again, which reflected an increase from from 27% in November and 29% in May 2017. 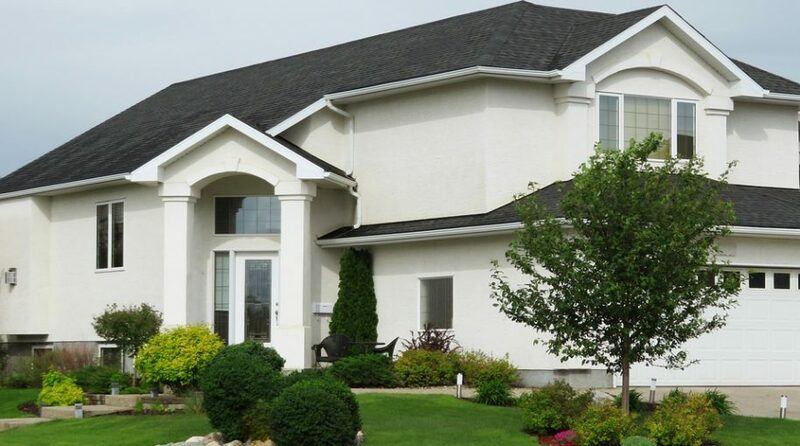 Furthermore, 21% said a 5% mortgage rate would cause them to look in other areas or buy a smaller home, which was unchanged from November and up from 18% a year ago. Lastly, 19% would increase their urgency to buy a home before interest rates were higher–down from 21% in November and from 23% a year ago. The data reflects the resiliency of buyers despite an economic landscape where the Federal Reserve is hinting at more rate hikes to come in September. Backed by a bull run in the capital markets and data showing that gross domestic product increased 4.1% in the second quarter, the prevailing notion is that rising rates are almost certain.